That was the message COFCO International Australia chief executive officer, Yebin “Bruce” Li, presented to the Grain Industry Association of Western Australia (GIWA) forum in Perth last week. 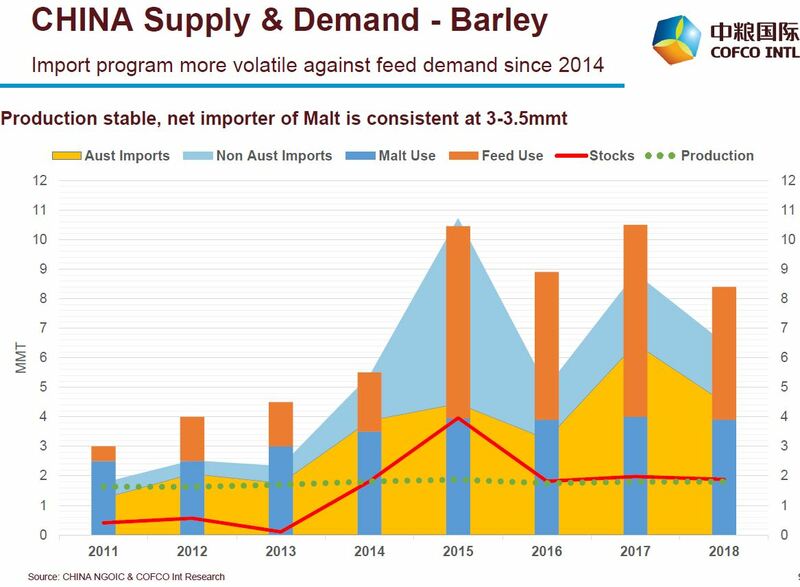 Mr Li said Australian barley currently held a 66 per cent share of the Chinese market, averaging 4 million tonnes (Mt) from China’s 6.5Mt total imports, and there was further growth potential in feed (animal protein) imports. 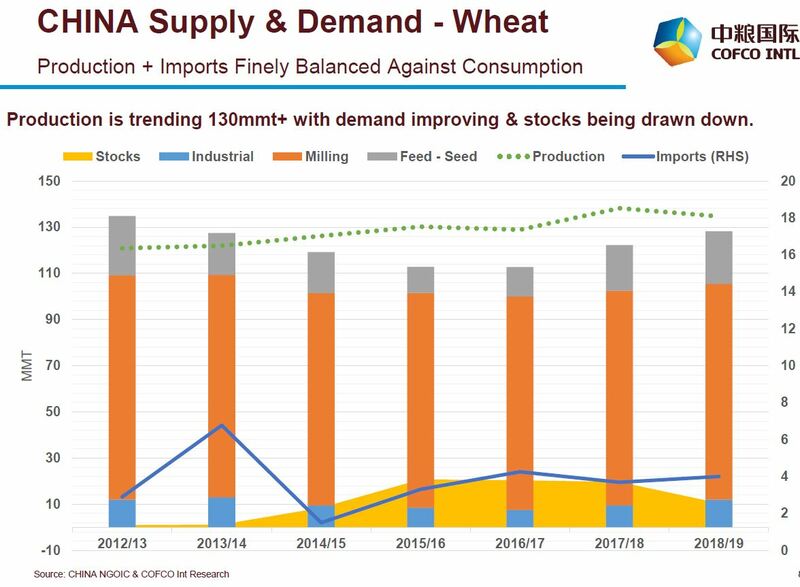 Mr Li said there was an inelastic base in the Chinese wheat market where Australia had a 25pc market share, contributing 1MT of China’s 4Mt wheat imports. However, the Australian product faced competition from the United States and Canada. 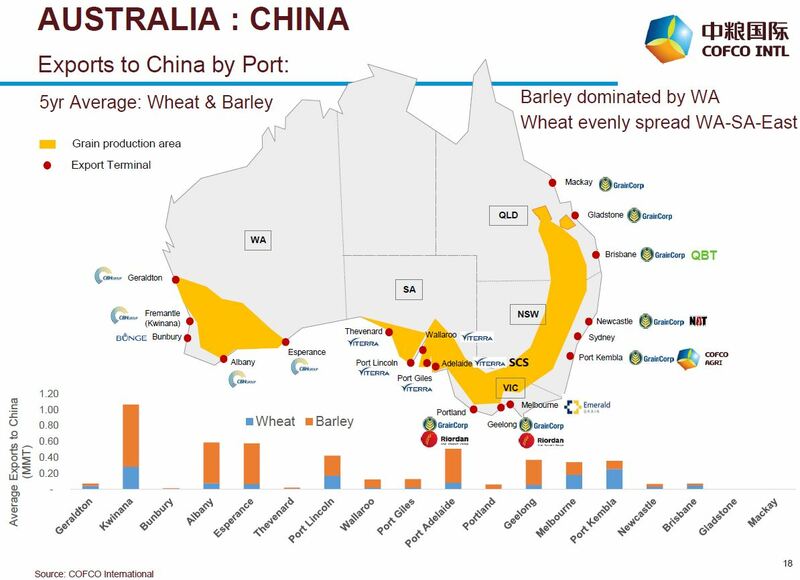 Focussing on the future for WA grain exports to China, Mr Li said WA malt barley varieties had a strong reputation with Chinese maltsters. “There is steady growth in demand for ‘healthy foods’ so Western Australian oats have a strong quality reputation and high consumer recognition,” he said. Mr Li said the changing appetites of the Chinese “millennial middle class” showed increased preferences for high protein bread and pastries, beef, wine, high quality drinking water, health foods and non-GMO packaged oil. 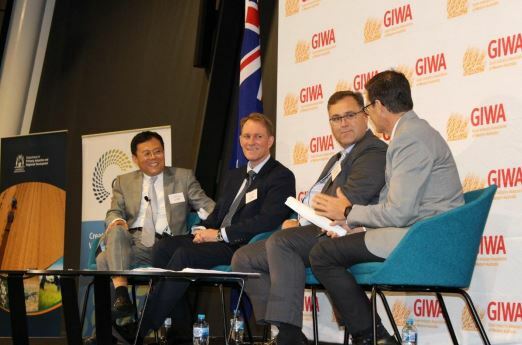 In a panel discussion moderated by Plum Grove executive chairman, Andrew Young, with CBH marketing and trading general manager, Jason Craig, and Burch Family Wines chief executive officer, Anthony Wilkes, discussion focused on opportunities for trade and investment between China and WA. While “brand Australia” was identified in the commoditised grain industry, the majority of which was sourced from South Australia and WA, there was recognition that at the premium end of the food offer Chinese consumers were looking for niche brands which demonstrated traceability, trust and provenance. Panel discussion: COFCO International Australia chief executive officer, Yebin “Bruce” Li, CBH marketing and trading general manager, Jason Craig, Burch Family Wines chief executive officer, Anthony Wilkes, and Plum Grove executive chairman, Andrew Young. Owned by the Chinese government, COFCO is the largest food and agribusiness conglomerate in China, with processing, storage and port capacity and vertical distribution networks throughout China. Through its integrated value chain approach to business, COFCO also has a retail brand strategy in China, with branded assets in consumer segments such as small packaged rice, flour, oil, sugar, alcohol, wine, beverages, meat and meat products, tea and tea derivatives, and dairy products.